Trim: 4.8i SportsPkg 350HP Only63K 1Owner ExMtnce Nice! Crossover luxury SUV! Low mileage with only 63,064 miles! Only one previous owner! AWD! No accidents, no damages, and well maintained! Motored by a powerful, 350 horsepower, 4.8L V8 engine linked to a 6-speed automatic transmission. Great looking, dent free Space Gray Metallic exterior. Clean, comfortable interior with plush black leather and walnut wood trim. Features include dual zone climate control, premium stereo system with CD/MP3/Aux capability, Bluetooth connectivity, navigation system, power adjustable front seats, and panoramic sunroof. Safety features include antilock brakes, front seat-mounted side airbags, head-protecting side-curtain airbags, and stability control. Four top quality Bridgestone Dueler H/L tires. 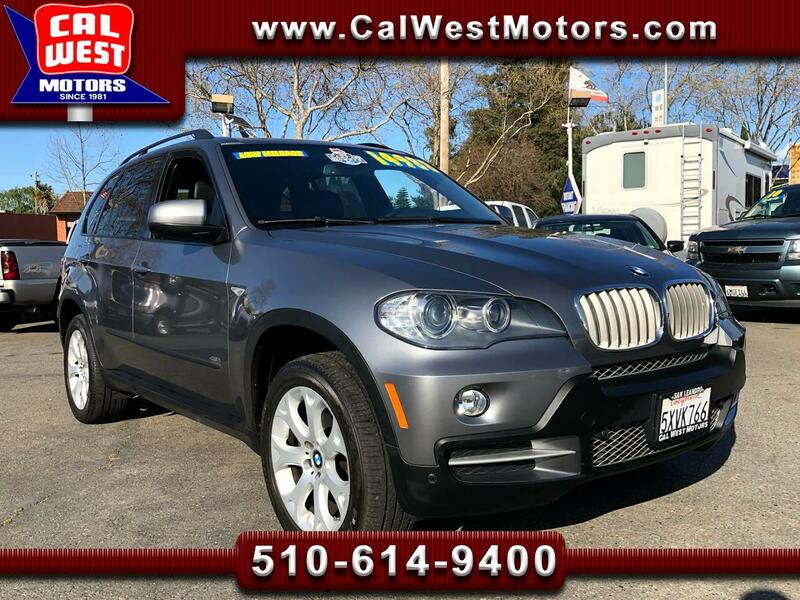 This X5's luxuriousness, low mileage, all wheel drivetrain, and powerful V8 create Great Value under $14,000!